It’s a pretty fiery piece, and in a surprising twist, somebody actually cares about this college student’s opinion: Kenneth Lonergan himself. 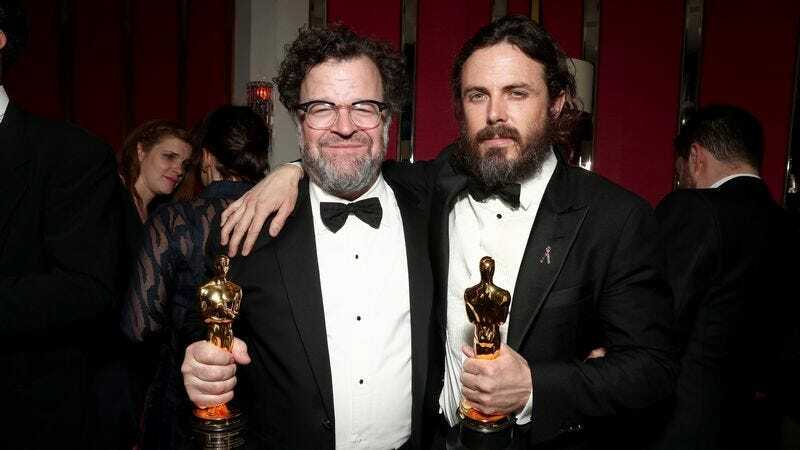 This weekend, Lonergan wrote his own op-ed in The Argus called “How Connor Aberle And The Argus Are Complicit In Slandering Casey Affleck,” and if that title doesn’t give it away, he comes down pretty hard on Aberle’s article. He refers to it as “such a tangle of illogic, misinformation, and flat-out slander” that the only possible excuse for Aberle’s “deeply offensive display of ignorance and warped, PC-fueled sense of indignation” can be his age. In fact, beyond a few lines, Lonergan doesn’t even really come to Casey Affleck’s defense so much as he tries to pick apart Aberle’s article the way a lawyer would, noting his “random use” of phrases like “sexual misconduct, sexual harassment, sexual abuse, and sexual violence” as if they’re “legally or physically interchangeable.” He also brings up Aberle’s use of the word “alleged” as if it’s a cowardly attempt to hide from libel laws and not, you know, the word you use when someone allegedly committed a crime. Unlike Aberle’s story, the tone of which seems pretty standard for an op-ed in a college paper, Lonergan’s piece comes across as an adult yelling at a kid for being too sensitive. After all, this isn’t about a story in The New York Times, it’s a college paper that only Wesleyan people would’ve ever read if not for Lonergan feeling the need to respond to it, not to mention the fact that Aberle is very far from the first person to bring up this controversy. Basically, it’s just a weird thing for an Oscar winner to do so soon after the ceremony, and it’s probably not going to sway people on either side of this thing.